Kickin’ it with JJ Deceglie | Am I the Black Rider? Yes. It took me about a year to track down JJ Deceglie. I’d originally found him through following (and later publishing) Nathan Hobby’s work. For ages I’d been wanting JJ to climb up onto Cottonmouth’s stage. I couldn’t get a hold of him. I couldn’t find him – too elusive, too non-descript. 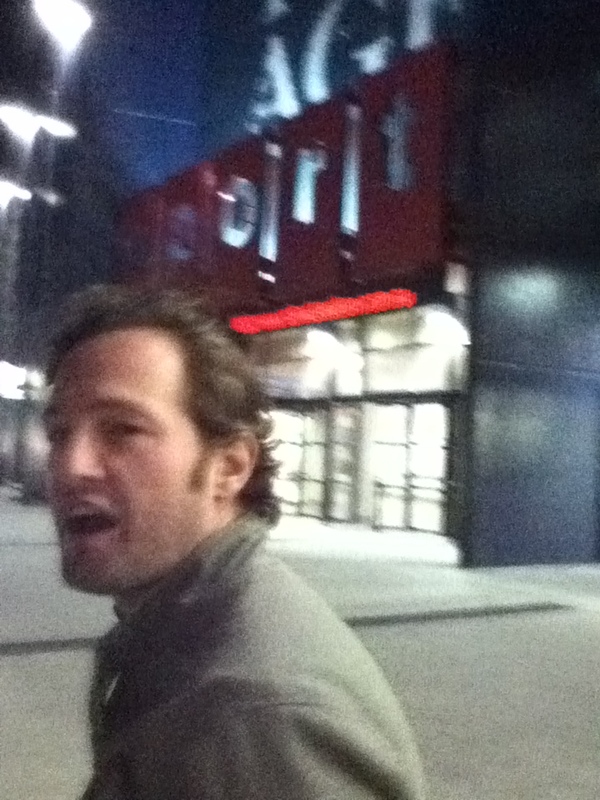 See, JJ is exactly the kind of hepcat I dig. This cat’s work is so heavy – forget whatever you’re told anything is supposed to be. This cat is so heavy. He’s concocted the novella the sea is not yet full, the short story collection In the Same Streets You’ll Wander Endlessly, Australia’s first novel about poker Damned Good, and his most recent novella Ennui and Despair. Plus lots of stories published all over the place. Out of the blue a year later I heard from him, had crept out of the depths of Freo, and over jars in the Sail & Anchor then the flurry of maddening schemes, plots, codifications, defiant contrivances, irreverent. And mad for the High Ones in the Berryman sense. So with JJ soon taking over the oncoming edition of The Diamond & the Thief, here then some of our conversation while kickin’ it. 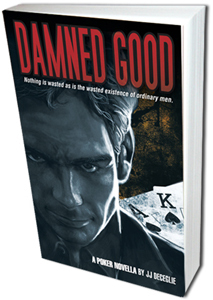 Last time we spoke, we talked about how it was your love for poker that led to your novel Damned Good. The high stakes poker storyline goes that deep into the character’s psyche, how much of it is researched and how much of it did you live? I think of it sometimes as a completely psychological novel; one that uses poker as a metaphor to detail a method of living one’s existence in a particularly intense way, and the agony that can come with that. In another way it is a completely philosophical novel; guidelines to attempting life as an existential superman, and again the intensity required for that. Then again it’s also just a book about poker; also a veiled personal mythology of myself and my life and things I’ve felt and known. It’s about failure mostly. Gambling and failing and having nothing left, but gambling yet again to get something back. There is no other way for the character, none that he can see anyway. Damned Good’s ascendant and subsequent descendent arc is split by a guide to authentic poker, my fave sub-chapter being ‘In the End as in the Beginning’. How did this li’l guide come about both in content and where it sits in the story? The actual poker guide was the publisher’s idea. I wasn’t particularly keen at first (and told them so) but went out one day and wrote some stuff down and it just flowed and I liked how it sounded. I thought I can do this and it can add rather than take away. The way I see it is that it is something ‘The Rookie’ wrote during that period in which we aren’t with him. I had to pare down the story and took some of those parts out (sections that ‘The Rookie’ had written, along with a more surreal ending). We know he burns a manuscript of sorts and this is what would have come outta him. In terms of content it’s a hybrid of mostly individual mysticism, throw in arcs along similar lines to that of Heidegger, Gurdjieff and Camus and you could maybe leave it about there. Perhaps a mention to old Nietzsche too. I’ve become convinced you’re spelunking into the inner caves of what it means to be or become man while thrashing through life. (“A man is, or he isn’t.”) Do you find these protagonists are done and/or undone at their own hand? There are, and are not. As is anyone really. For men such as these there may be no other method. Not to their eyes or hearts, not in their sphere of existence. They have to know, and will push until the bloom or wreck shows itself as the result. It is about living, how best to do it, how to actually know it and feel it and yeah to be a man, but to become a man as a result of prolonged authentic experience, not one by what you have stored up or borrowed or read about. It must be lived. I think I use the writing as a method of figuring these things out for myself; and I can tell you wholeheartedly that I have no definitive answers. 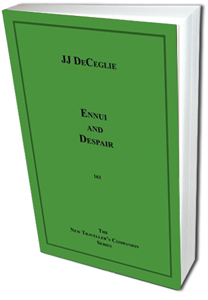 Ennui and despair, is this our inheritance? Both are by-products of intensity and misplaced authenticity. Both are the run-off of failure and collapse. Both are the end result of abject misunderstanding and a vein of hopelessness that can be felt so strongly at times wandering about on this earth. Though both are battled with hope and beauty, and both are rendered next to dead by courage and individual responsibility acknowledged in one’s existence. If you are really trying, you have to feel them both at some stage, don’t you – I can’t see any other way. Wherein do we find answers? Find what you wanna do, do it with everything damn thing you got; but expect nothing without work. So work and work and work. You’ll probably still lose, and you will definitely die, but it’s better than dying while you live. I got a novel called ‘Princes Without a Kingdom’ coming out with Disruptive Press real soon. It’s a 400 plus page work, and I spent 18 months on it over 2009/10. It’s my Dostoyevskian effort, hopefully the first of many. Big characters colliding like planets, different attempts at existence personified, talking it out, living it out, fighting life in drastic efforts to see what works best and most. I got some poetry I’m working at too. Also a hardboiled noir novel. I think you either understand it the way it is written above, or you don’t. Bewilderment. Complete and absolute. You can clear up confusion, you can elucidate it. Bewilderment is akin to disorientation, to perplexity, and I know and feel it like one would a sibling. It cannot be altered, it can only be lived, accustomed and adapted to. We habituate it. What’s coming around the bend? And how fast are we running toward it? More of the same, unless you change it, so buckle up, or expire now. Pingback: Coming soon: ‘the sea is not yet full’ by JJ Deceglie | Am I the Black Rider? Yes. Pingback: JJ Deceglie’s ‘the sea is not yet full’ – out now | Am I the Black Rider? Yes.